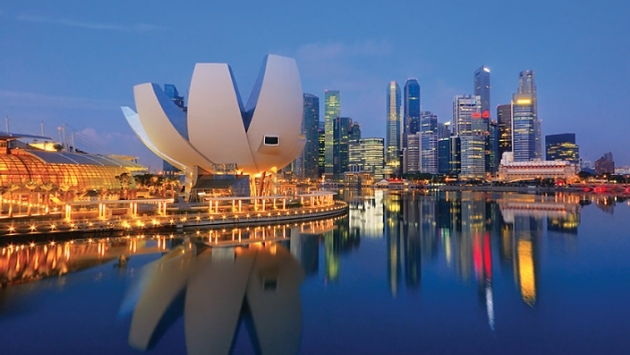 It’s so nice, they’re visiting it twice — aboard Silver Shadow, Silversea’s luxurious small ship, a 12-day voyage through the Far East will start and end with Singapore, with plenty in between. Next stop is Port Klang in Kuala Lumpur, Malaysia. The country’s capital, it contains both the marks of multicultural history, and a modern financial district complete with skyscrapers. A highlight of the city’s shore excursions is perfect for golf enthusiasts — a visit to the Sultan Abdul Aziz Golf Club. The Thai island of Phuket is next, a popular, modern resort town, called “one of the region’s powerhouses,” by Silversea. Cruisers can get to cooking Thai classics on land, or embark on a speedboat island tour, among other activities. The cruise’s halfway mark is a visit to Myanmar, aka Burma. Kind locals await at this land of countless temples, just emerging as a tourist destination. At the cruise’s home stretch is a visit to the Malaysian locales of Langkawi and Melaka. The former is a scuba diver’s dream and the latter is considered the country’s most historic city. Then it’s back to the glittering metropolis of Singapore. To find out more about this Far East sailing, visit Silversea’s blog.